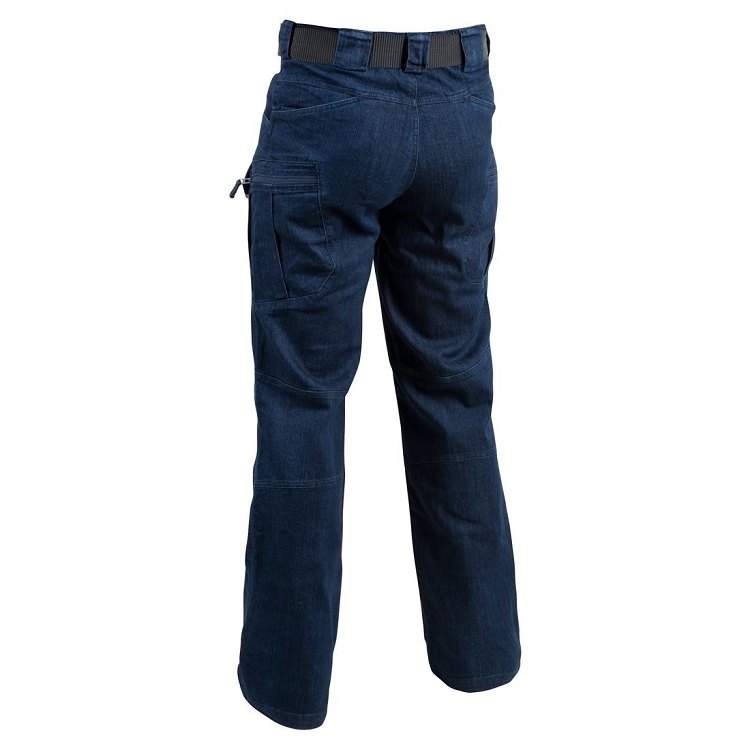 Tactical Pants UTP Urban Tactical Pants Denim Mid is a lighter version of denim material. 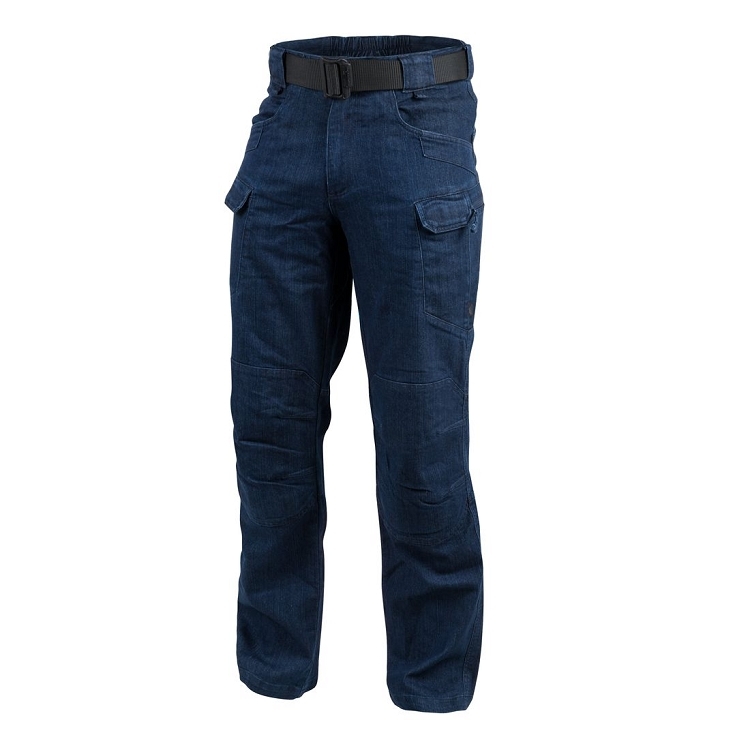 UTP (Urban Tactical Pants) from Helikon-Tex was created as a "mid profile" pattern, i.e. looking less uniform than BDU, ACU or M-65 pants, but it offers increased functionality in relation to purely civilian clothing. Thanks to the material with elastane admixture, the pants wear very well and provide freedom of movement. 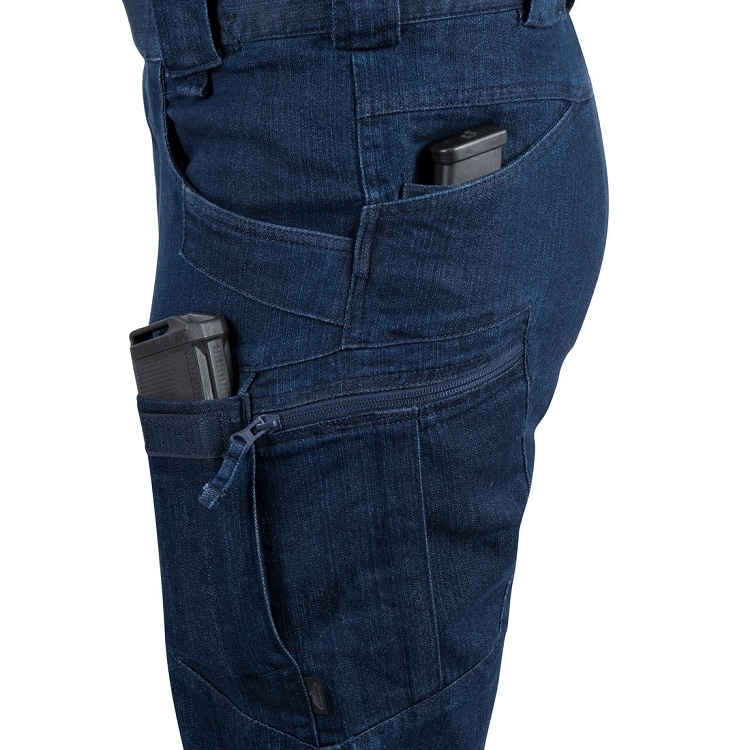 - four thigh pockets, two large ones fastened with a YKK zipper (opposite), and two smaller ones at the front of the thighs, closed with a velcro flap, are used for carrying, for example, mobile phones, magazines etc. Pants do not have a belt in the set.